Like most homes built in the 1920’s for 1920’s families, Hawk Hill has had several additions. Some kept true to the house’s character, some less so authentic, but one thing she’s never lacking is quirkiness: which is how I ended up with 4 porches. Yes, four! Far from the grand, meandering porches of some period homes, Hawk Hill’s porches are mostly modest. 80 years ago visitors would have been welcomed via the largest porch, but the small side-porch added in the 1980’s proves to be a more convenient entrance for me and more comfortable entry for guests. Unfortunately, the side porch is the smallest a modest covered slab, step, and stoop. Just enough room to demand some sort of decor, and just small enough to make decorating difficult! After struggling with it for two years, when I stumbled across a Pinterest pin from Country Living I finally got inspired! 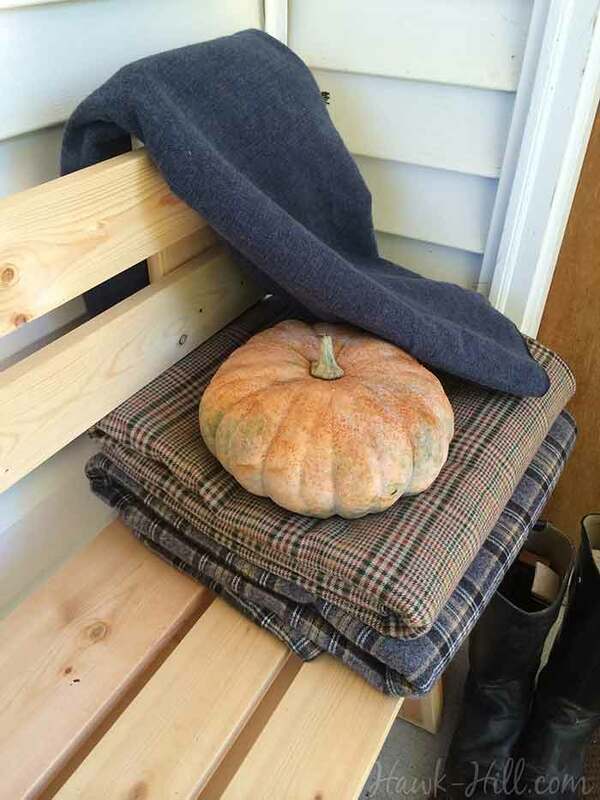 All I needed was rich, vintage looking, thick wool blankets… Then I confirmed the price for luxury wool blankets I dreamed of (and even cheaper fleece knockoffs) and realized the look was way out of budget! Like most people, I don’t operate on a budget that can justify a pile of $50-$100 to inevitably be host to dust, fallen leaves, and a not-so-occasional spider’s web. 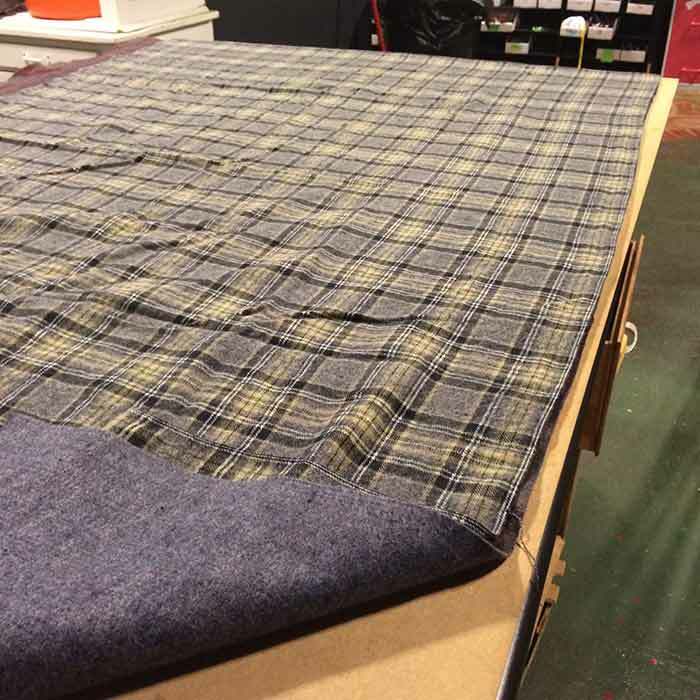 A few weeks later, wandering the aisles of a newly rebuilt fabric store in Joplin, MO, I discovered bolts of flannel woven in plaid, checks, herringbone, and other classic patterns. The lightbulb went on! Unlike shaggy printed fleece, flannel patterns included the pattern woven in, for a more expensive look without the pricetag. Initially I thought I’d purchase yardage and simply wrap a few old towels, to create the look of folded blankets, but my idea kept developing. 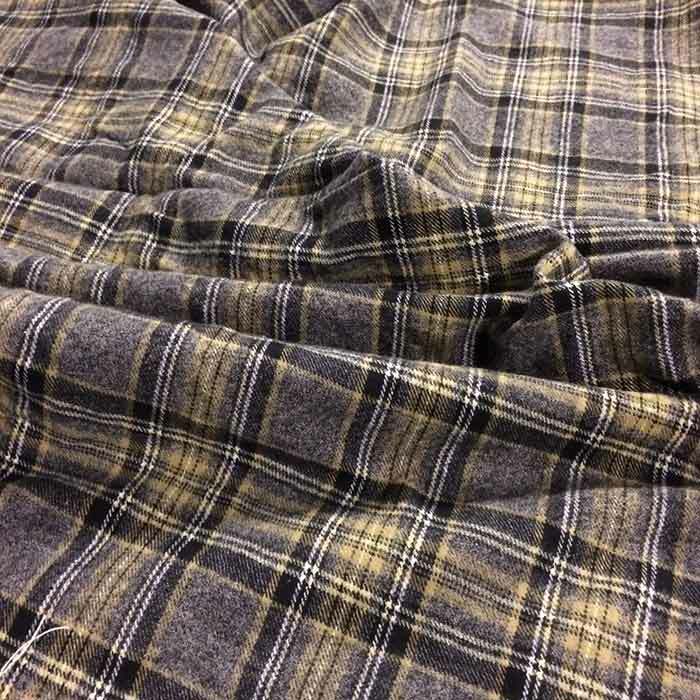 I decided to stitch the thin flannel to cheap backing fabric and create functional, washable, vintage-look blankets for under $7 each. Here are my instructions for creating the same warm, weather-friendly, and washable porch blankets on a budget. Flannel: Any flannel print should work. Choose according to color or in varied styles for a warm-looking mix of colors and textures. Backing: Any thick, neutral colored fabric should work. In an event that truly justified hoarding a fabric stash, the backing fabric I used for my blankets was a thick upholstery-grade felt purchased at a thrift store for next to nothing a year or two before starting this project. While one side featured a southwest print, the back was a perfect, plain solid grey. 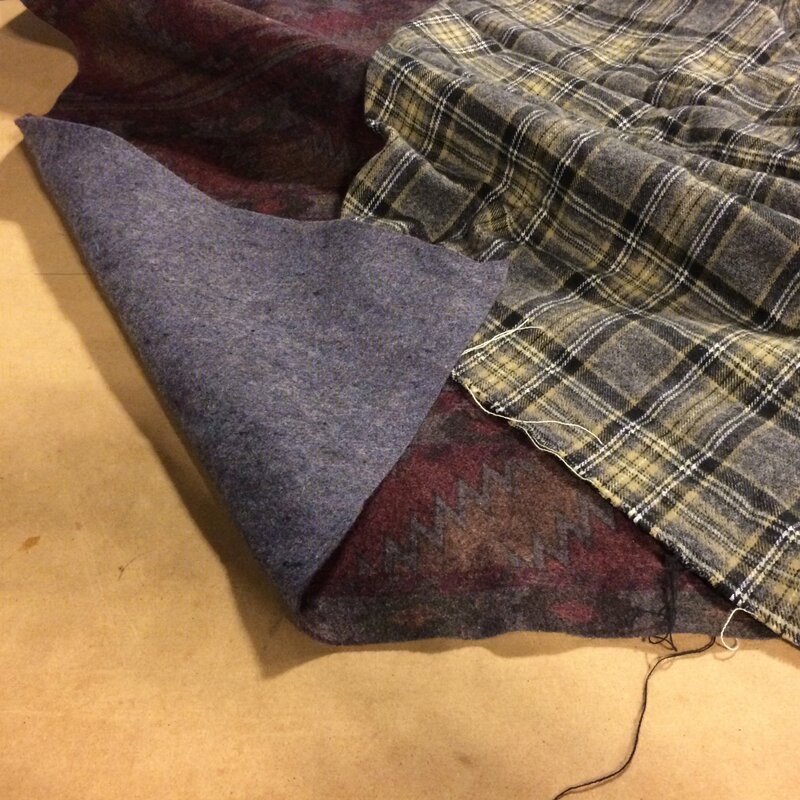 You could definitely use old or out-of-style blankets, or other sturdy large scraps. Since my fabrics were relatively wide in width, I constructed each with 1.5 yards of fabric. This is is smaller than a twin size blanket but has been perfect for covering 2-3 people’s laps when I tote my blankets to events. very important since you will likely be frequently washing your porch blankets: prewash! Running through a wash and dry cycle before stitching will prevent the fabrics from shrinking unevenly once finished. Since there is no turning involved, just stack your fabrics as they should be on the finished product: pretty sides facing out. Choose how your edges will be bound. 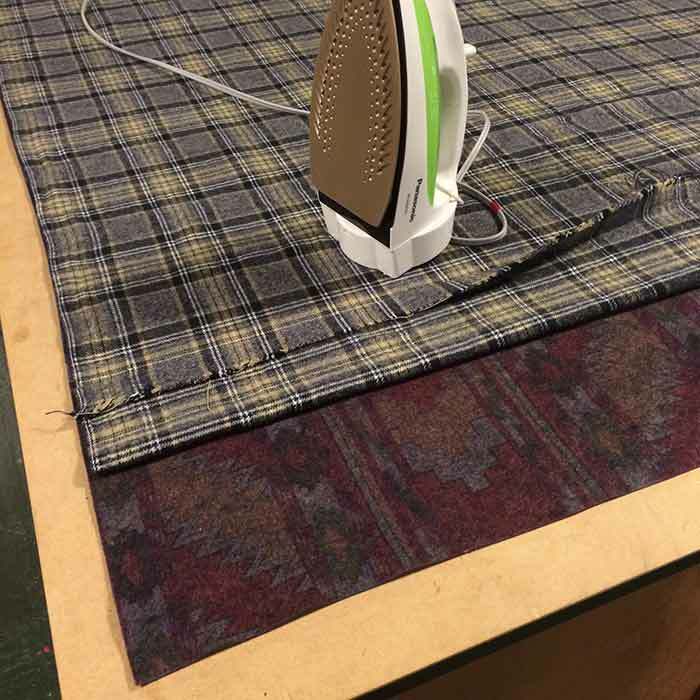 You could add blanket binding, leave unfinished and let your flannel fringe, or turn fray-able edges under before stitching for a plain, but fast and free edge finish that will wear well through washing. 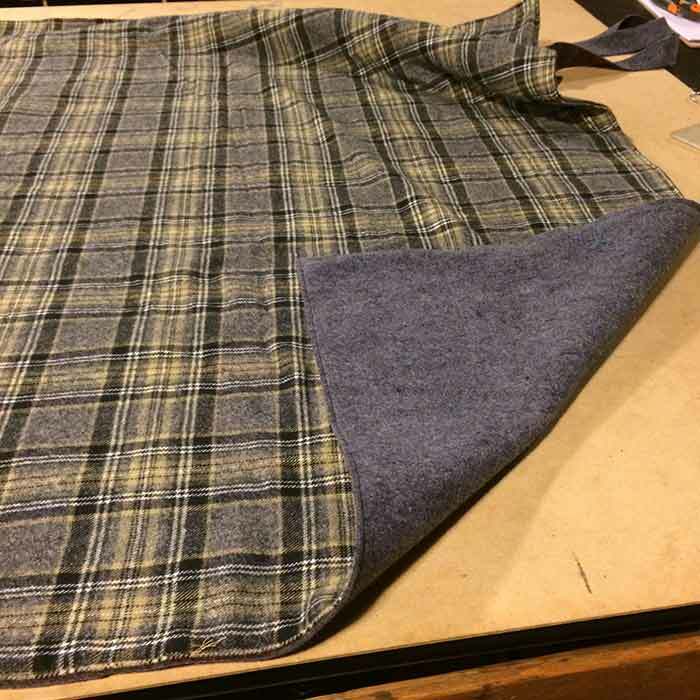 Because I chose to turn and stitch my flannel’s edges to the no-fray felt, I cut my flannel 1/2″ larger than the felt on each side, then used an iron to fold and press my flannel to fit the dimensions of the felt. Once edges were prepared, I began to stitch my edges with a blanket stitch using embroidery floss, however I am a pragmatic person and after about 2 sides done on the first (of 3!) blankets, I decided the hand-stitch didn’t add enough “wow” to the final product to justify the extra time, so I buzzed through the rest of the blankets with my old sewing machine. This was a quick project, taking a total of about 20-30 minutes for each blanket and finishing at a cost of under $5 per blanket, and I’m thrilled with creating a luxury inspired look for a fraction of the cost of using traditional wool blankets. 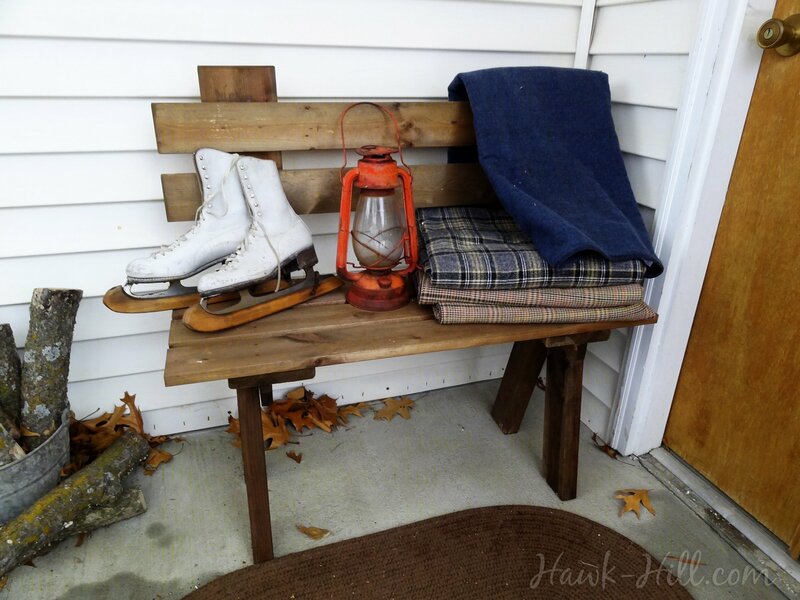 to create the look of the country living porch, I needed a bench as well, however my little side porch is so small that in order to get a bench that looked appropriate and wouldn’t stick out too far, I had to build one. Luckily, woodworking is one of the many hobbies I have discovered since building a “creative homestead” at Hawk Hill, so one Saturday afternoon I whipped one up. All in all, I’m really pleased with my new porch decor. I find when I add a new element like this, it actually takes me awhile to get comfortable with it and arrange it in a way I like. I like the winter decorations so much more than the fall- I can’t wait to see how it transforms into spring!